This charming National Trust garden shed was recently installed for a customer based in Kirknewton, Midlothian. Purchased as an attractive alternative to the usual contemporary garden shed, this traditional building takes its name from the stunning Felbrigg Hall which is local to our Norfolk headquarters. As with all of our timber buildings, the shed was both delivered and installed at the specified delivery address by our in-house installations team. 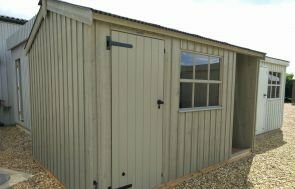 The Felbrigg Shed is available in a range of different sizes, with this one measuring 1.8 x 3.0m. 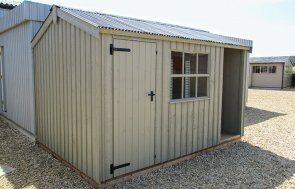 It has an apex roof covered with attractive corrugated material and a single access door in the length of the shed. There is a single fixed window also in the length, with attractive Georgian bars which add to the beauty of the building. It features rustic-cut, vertically-sawn cladding painted in the Disraeli Green shade from our National Trust paint palette, which is one of six tasteful shades. 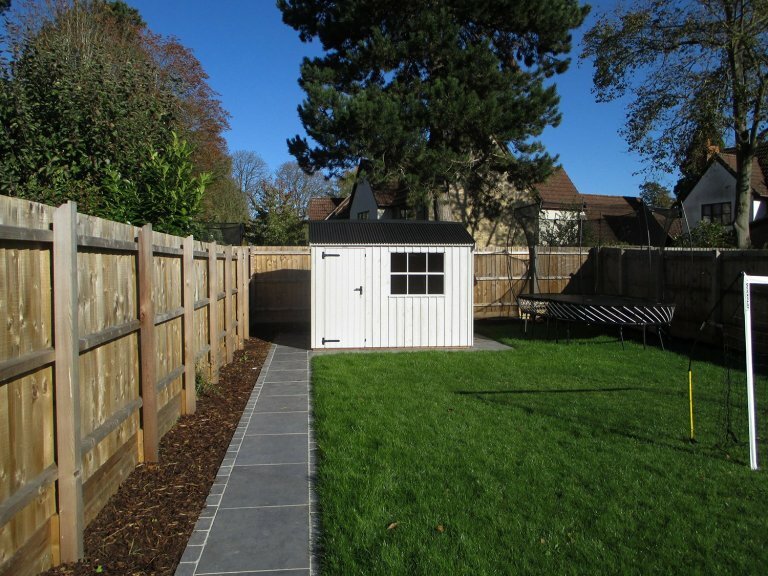 We also offer a selection of other National Trust garden sheds as well as entire range of National Trust summerhouses for those looking for a more traditionally styled building. If it’s something a little more contemporary that you’re seeking, our in-house range of garden buildings can also cater for this. With everything from garden studios to show-stopping garden rooms available, we strongly recommend that you pay us a visit at one of our show sites where you can make an informed decision on what’s best for you and your garden. You can locate your nearest show site here or alternatively, get in touch with us on 01760 444229 in order to plan your visit.